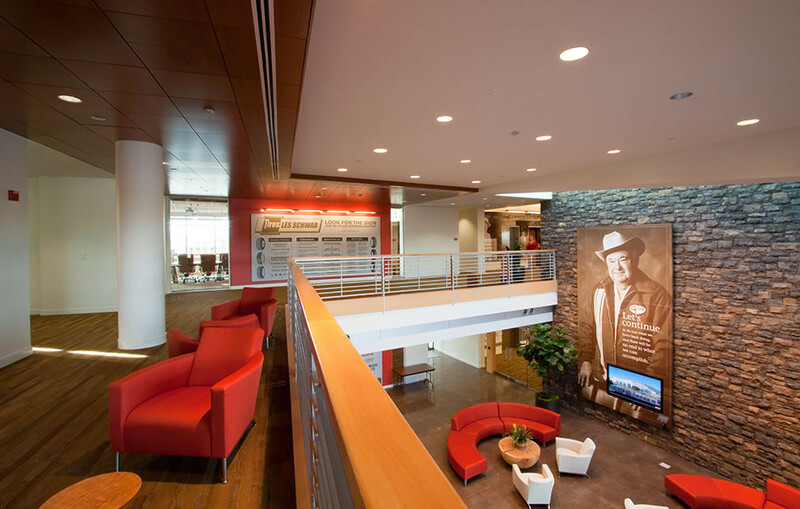 Announcing plans to relocate its headquarters from Prineville to Bend, Oregon in 2006, this project involved the planning, design, and construction of a new corporate headquarters for Oregon based Les Schwab Tire Centers. The project was the first development in the City of Bend’s 1,500-acre master planned area known as Juniper Ridge. The state of the art, three story office building includes private and open work spaces for approximately 320 employees, a new 3,000 SF data center, an on-site exercise facility with locker rooms, an employee restaurant, art elements to highlight the company’s heritage and ample parking. 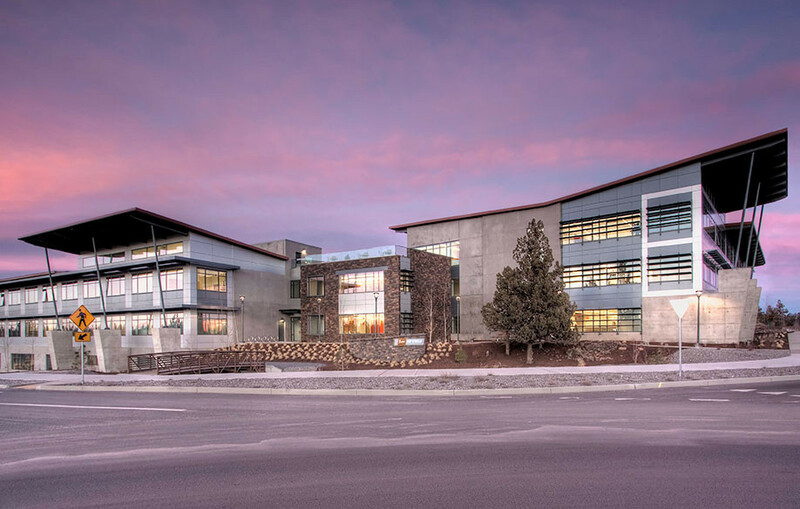 The new facility incorporates a number of sustainable design features such as photovoltaic solar array, raised floor high efficiency HVAC and electrical/data management system, daylighting controls, and energy recovery from the data center that reduce total energy consumption and lower building operating costs. The building is surrounded by native landscaping and walking trails on a 12-acre site.